This entry was posted in Uncategorized on 25 April 2013 by . This entry was posted in Uncategorized on 28 November 2012 by . The 7 Stills T-shirt has the shop logo on the front and on the back there is a list of distilleries of Dufftown past and present. 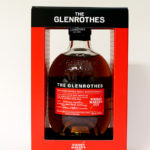 This item can only be ordered as part of an order containing whisky or on it's own for delivery in the UK for an additional £2 which will be charged to your card separatly. Please specify the size and colour required in the comments field when placing your order. Available in Black, Burgundy and Bottle Green (shown) and sizes M, L, XL, XXL. XXXL is availble in Black only. This entry was posted in Other Whisky News, Uncategorized on 5 October 2010 by Mike. Kilgore is the American Lieutenant Colonel from the 1/9 Air Cavalry played by Robert Duval.